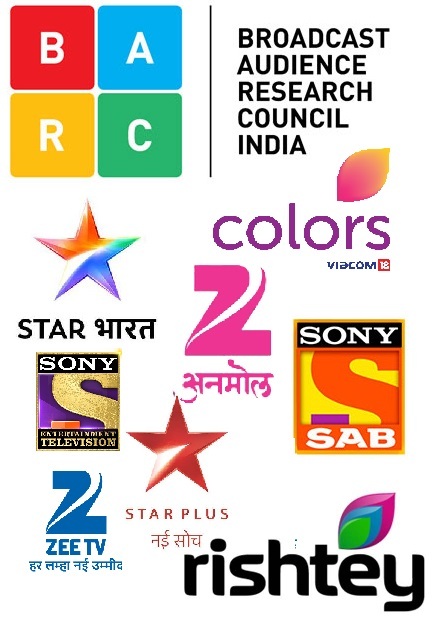 It is time to keep the celebrations going, as most Hindi general entertainment channels (GECs) in the week 51 of TAM TV ratings saw a hike in viewership. 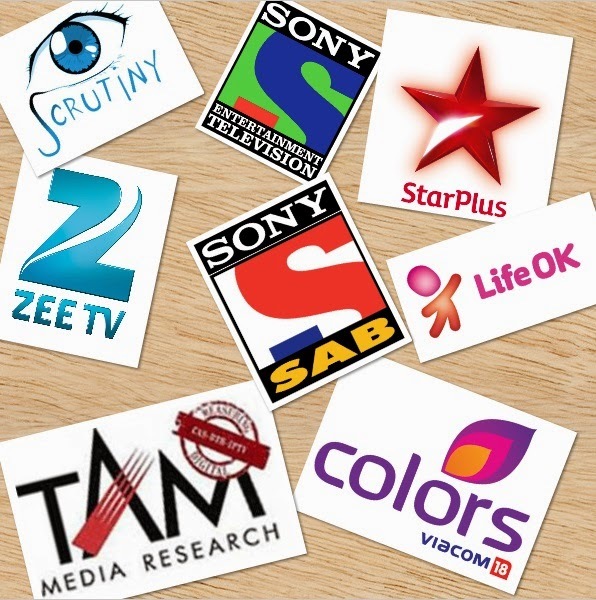 The week saw Zee TV as the biggest gainer. At number three it recorded 473,977 GVTs, up from 397,607 GVTs. Thanks to Zee Rishtey Awards that clocked around 6,352 TVTs. Kumkum Bhagya turned out to be the highest rated fiction show this week as it noted 9,936 TVTs, up from 6,750 TVTs. Other offerings too attracted eyeballs, thus, Jamai Raja reported 6,879 TVTs, up from 6,274 TVTs and Jodha Akbar garnered 6,813 TVTs, up from 6,316 TVTs. Colors continued its strong hold at number two with 500,016 GVTs, up from 449,580 GVTs. Its fiction property - Udaan observed a significant rise in the ratings as it reported 7,049 TVTs, up from 6,308 TVTs. Sasural Simar Ka too noted 7,040 TVTs, up from 6,562 TVTs and Comedy Nights with Kapil added few numbers and stood at 6,429 TVTs, up from 6,172 TVTs. Life OK too at number four added eyeballs as it scored 327,014 GVTs, up from 289,099 GVTs. 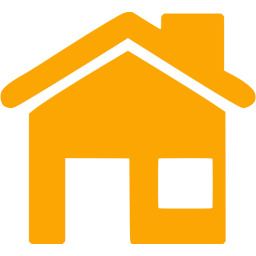 The channel’s flagship property - Mahakumbh observed 3,351 TVTs, up from 2,114 TVTs. Pukar - Call for the Hero too saw a huge hike in the viewership as it witnessed 1,710 TVTs, up from 987 TVTs. Its stint with comedy seemed to pay off as Comedy Classes scored 2,931 TVTs, up from 2,449 TVTs. At number five stood Sab at 310,462 GVTs, up from 287,585 GVTs. The channel’s new entrant - Yam Hai Hum witnessed a spike in the ratings as it reported 2,836 TVTs, up from 1,001 TVTs. Balveer too saw some attention towards the show as it recorded 3,005 TVTs, up from 2,939 TVTs. Despite a rise, Sony Entertainment Television (SET) continued to be at number six with 240,008 GVTs, up from 228,958 GVTs. Crime Petrol worked wonders for the channel as it noted 2,488 TVTs, up from 1,889 TVTs, Adaalat noted 2,528 TVTs, up from 1,955 TVTs and Box Cricket League (BCL) registered 1,126 TVTs, up from 732 TVTs. The only channel, which witnessed a drop was, Star Plus that dropped from 660,929 GVTs to 636,952 GVTs in week 51. The channel’s chart topper Diya Aur Baati Hum lost eyeballs as it garnered 11,823 TVTs, down from 14,010 TVTs. Saathiya Saath too witnessed a drop from 8,582 TVTs to 8,391 TVTs. Its new entrant Private Investigator failed to attract audiences as it observed a drop from 2,499 TVTs to 1,758 TVTs. On the other hand, Big Magic tracked 59,613 GVTs, down from 59,972 GVTs. Zindagi noted 31,545 GVTs, down from 32,917 GVTs and Sony Pal too observed a significant drop in the viewership as it noted 25,158 GVTs, down from 31,024 GVTs. Meri Aashiqi Tumse Hi 1 hour special from Tue to Fri got 2.8, 2.5, 2.1, 2.8 TRP's.